What Should Guests Wear to a Beach Wedding at Lover's Key Beach? What Should Guests Wear to a Beach Wedding at Lover’s Key Beach? Home/Lovers Key Beach Weddings/What Should Guests Wear to a Beach Wedding at Lover’s Key Beach? There’s nothing better than a beach wedding at Lover’s Key beach. In light of this, it’s hardly surprising that beach weddings account for approximately 20% of all ceremonies. As lovely as these occasions are, it can sometimes be a little tricky for guests to know what to wear. However, never fear, because this is where we come in. Throughout this blog post, we’ll tell you everything you need to know about how to dress for a beach wedding. So, without further ado, let’s dive on in! First things first, you need to read your invitation very carefully. Does it mention any specific instructions? Or give any clues as to what’s expected of you? Once you’ve gathered this information, you can plan accordingly. We love flat statement sandals; they’re both pretty and practical! You should try and choose ones that compliment a more formal looking sundress. Perhaps an elegant maxi dress? If you’re wondering what colors to go for, you can never go wrong with pastels or vibrant colors like yellow and orange. Top Tip: try and find out what color dresses the bridesmaids are wearing, and then avoid these colors. The last thing you want to do is look as though you’re trying to match the bridal party! Alternatively, if the invitation stipulates semi-formal attire, then either go for a short or knee-length dress. These styles will compliment the tone of the wedding perfectly! Last but not least, we suggest bringing a shawl or a wrap in your bag, especially in the dead of a deceivingly warm Florida winter. Trust us; you’ll be thankful for it when the temperature drops at night. For gents, things are a tad simpler. You can’t go wrong with a summer suit. Preferably one made of lightweight fabric like linen. Usually, you won’t have to wear a tie. However, look to the invitation and ask around and see what other guests are doing (if that’s possible for you to do). If in doubt, take one in your pocket, just in case. 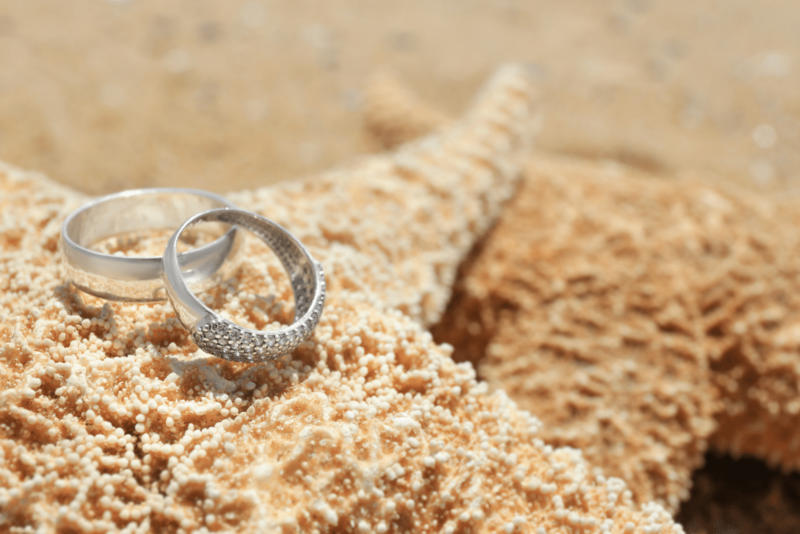 Are You Heading to a Beach Wedding at Lover’s Key Beach? 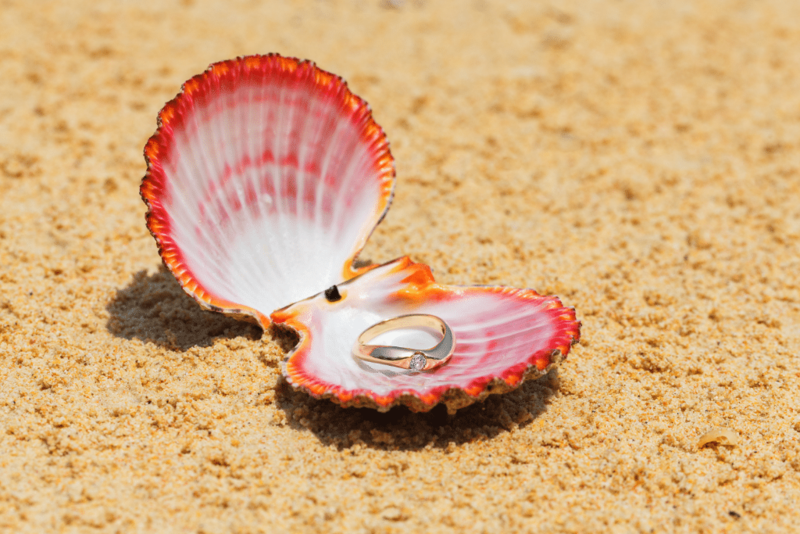 Are you heading to a beach wedding at Lover’s Key Beach? If so, we suggest checking out our blog for more information on what to expect. Over there we discuss everything from our favorite beach wedding sandals to beautiful hairstyles you might want to consider. Enjoy! Alternatively, if you have any questions about this subject, please feel free to reach out and contact us via our contact form. We promise to get back to you as soon as we can. Talk soon!